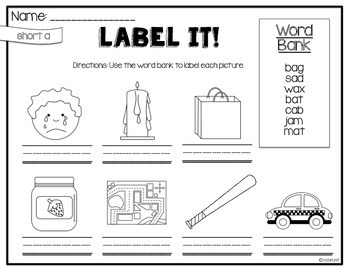 This is a set of no prep printables to practice labeling. 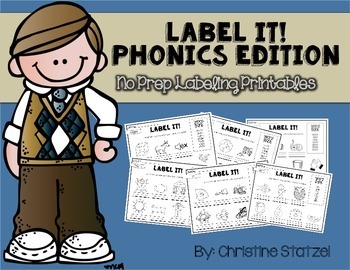 Each page has a set of pictures that go with the phonics/spelling skill. 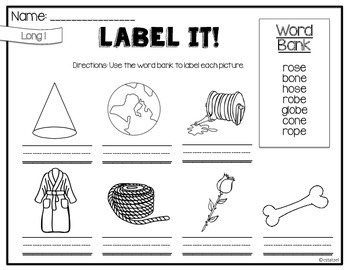 Students will use the word bank to label each picture. This pack would be great when introducing the skill for the week, during a center, or as morning it. 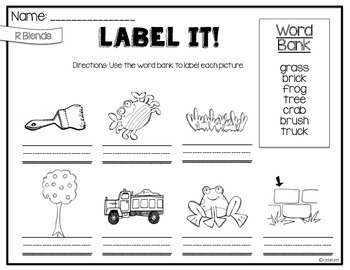 It is a great reinforcement activity.